As part of the ongoing renovation of the boating access facilities at C.C. 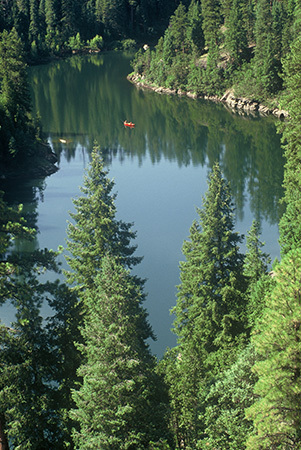 Cragin Reservoir (Blue Ridge Reservoir), the U.S. Forest Service will close vehicular access to the lake beginning the morning of Sept. 6. Access will reopen next spring. During the past several years, there have been significant improvements to the facility thanks to the collaborative efforts of the U.S. Forest Service and the Arizona Game and Fish Department. These improvements include widening of the access road, the addition of vehicle guard rail, paving of vehicle turning areas, and the addition of parking spaces. The next phase of improvements this fall will include an additional vehicle guard rail, paving of the area leading to the boat ramp, improved signage, and additional designated parking spaces.